If that title isn’t a mouthful I don’t know what is! I tried to come up with a cute or funny title, but it didn’t work. 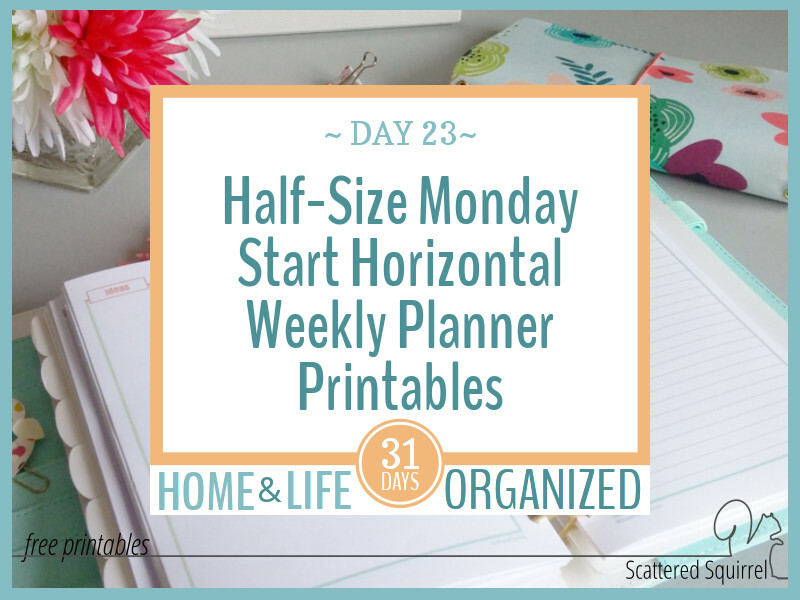 With all the planner printables being shared in this series I wanted to make it easy for you to find the printables you’re looking for. 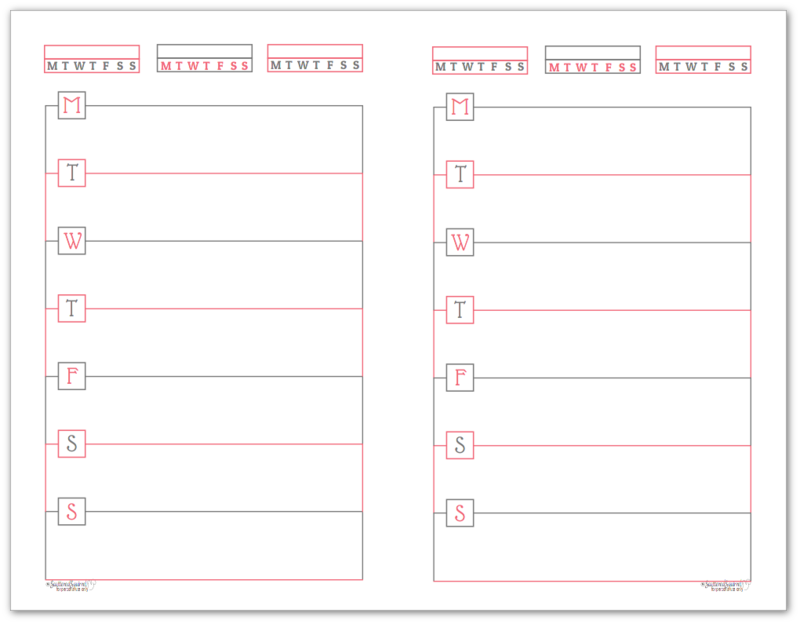 So, it’s a little boring and dull, but it says exactly what you’ll find in this post – the half-size Monday start horizontal weekly planners! I can’t tell you how much fun I’m having with this series. Even if it will end almost two weeks late, I’m still enjoying creating and sharing all these new and updated printables with you all. Today’s printables are no exception. Being a little behind on this series actually worked in favour of these ones being created. If all had gone according to plan, I wouldn’t have had the time to add these into the series on the fly. It just goes to show that sometimes things work exactly as they are meant too. 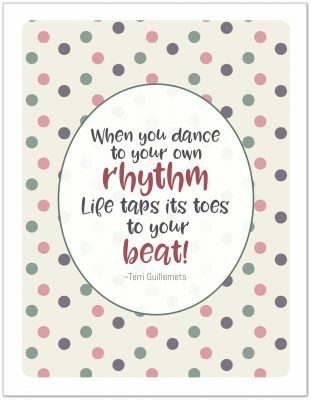 But enough of my ramblings – let’s check out the printables! These horizontal layouts sure seem to be popular right now. I know I’m totally loving mine. So much so I’m thinking I might need to sit down with blogging/business planner and redesign the pages to be horizontal as well. The first ones I shared (click here to read that post) were great, but the Sunday start really threw me for a loop. Since I do all my weekly planning on Sunday evening, it just wasn’t working for me, and many of you said that it wasn’t working for you either. That has been fixed! For those that missed the first post about these printables, I tried to keep them really simple like all my other printables. The three boxes across the top of the page were designed to be used as habit trackers. You can use these to stay on track with building or start new routines, to track a habit you’re focusing on, or a few daily tasks that you don’t want to jot down every day. If habit tracking isn’t your thing, you can also use these boxes to note your top three prioritized tasks for the week and circle the day’s initial that they need to be done on. This concludes the weekly portion of this series. We’re going to be jumping into daily planners in the next few posts, followed by a few posts with extra printables you might want to include in your planners. 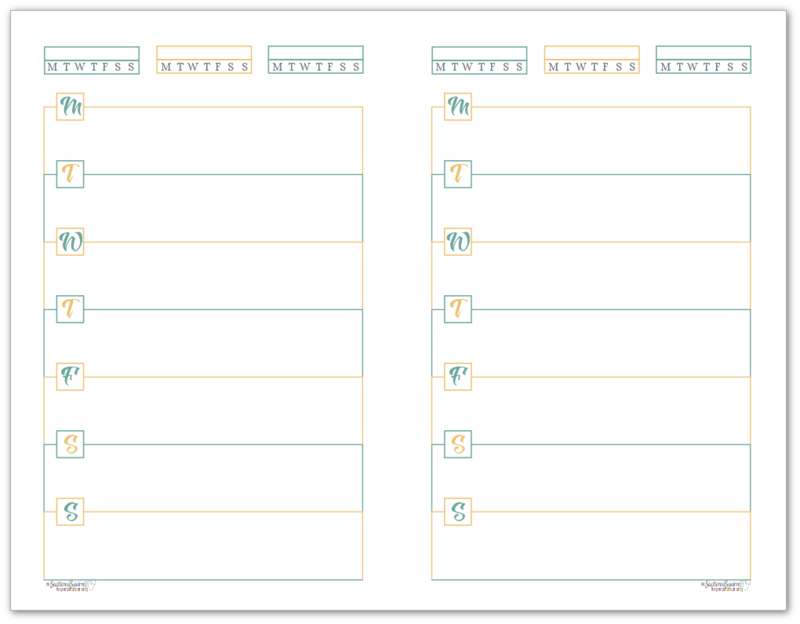 I’m going to be ending the series with some tips and tricks for building a planner that works for you, as well as some of the reasons I use multiple planners to help me stay on track. This is the portion where I turn it over to you. What are your thoughts on the horizontal layouts? Love ’em or Leave ’em? Do you like them for certain things and not others? Drop me a line in the comments below and share your thoughts.